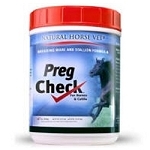 Preg Check is a Vitamin, Chelated Mineral, Direct Fed Microbial Supplement for Stallions, Mares, Bulls and Cows designed to maintain a healthy reproductive system. INGREDIENTS: Wheat Germ Meal, Linseed Meal, Ground Dried Grape Seed & Pomace*, Dried Seaweed Meal Fucaceae, Calcium Carbonate, Vitamin E Supplement, Yeast Culture, Beta-Carotene, Brewers Dried Yeast, Zinc polysaccharide Complex, Copper Polysaccharide Complex, Manganese Polysaccharide Complex, Brewers Dried Grain, Vegetable Oils, Dried Bacillus Subtilis Fermentation Extract, Dried Aspergillus Oryzae Fermentation Extract, Cobalt Proteinate, Propionibacterium Freudenreichii Fermentation Product. WARNING: DO NOT USE IN GOATS OR SHEEP OR IN OTHER COPPER-SENSITIVE SPECIES. For each 1000 lbs. of body weight, top-dress Â½ (maintenance amount) to 2 scoops daily beginning four to six weeks prior to breeding or embryo flushing. During pregnancy give Â½ to 1 scoop daily (divide amounts if fed more than once daily). 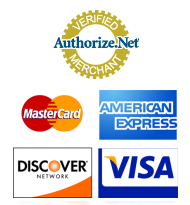 This is not a complete supplement; other nutrients may be required for complete nutritional balance. Consult your veterinarian or nutritionist as to use. Each scoop equals 1 oz. 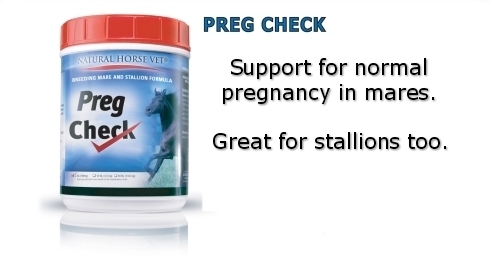 "A must for any breeding operation!"